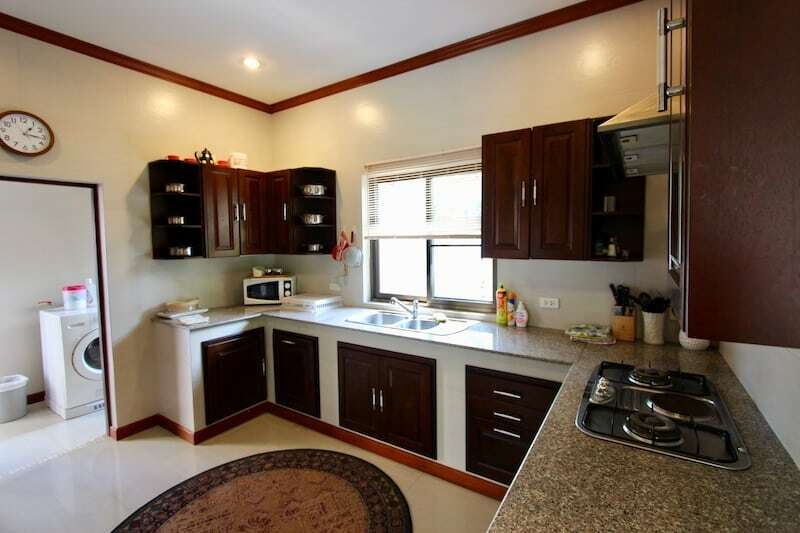 THIS IS A 3 BED HANA VILLAGE HOUSE FOR RENT. 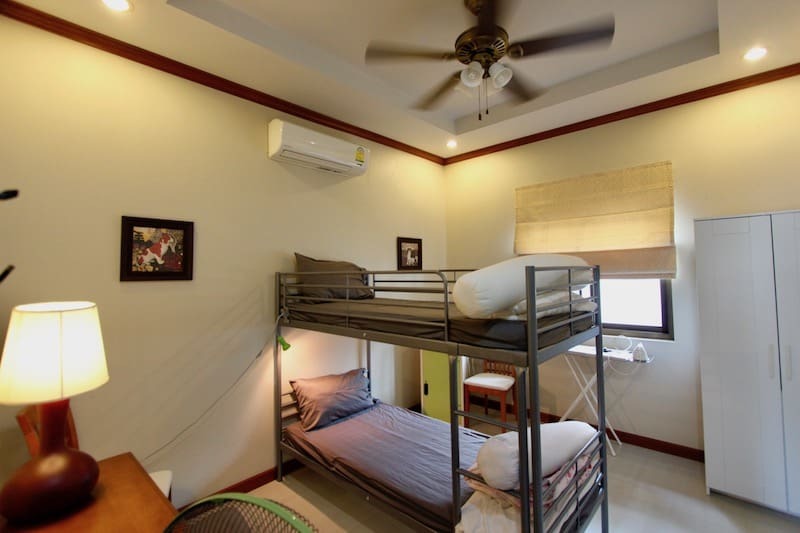 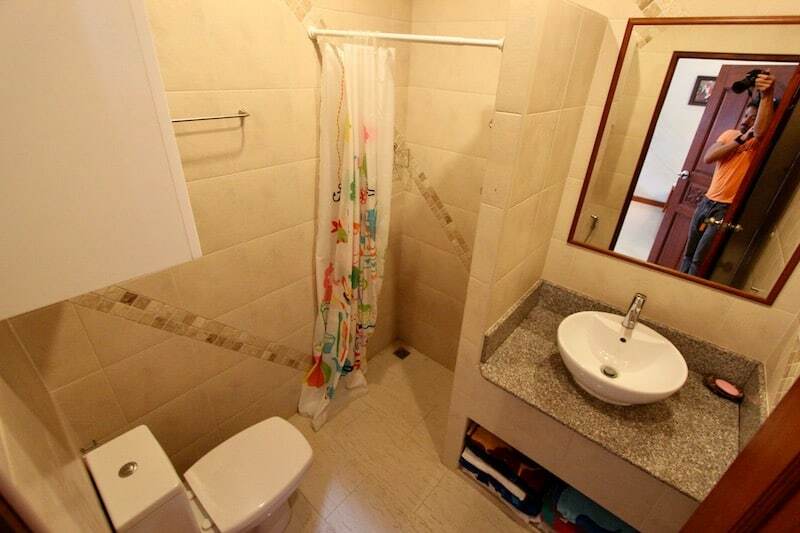 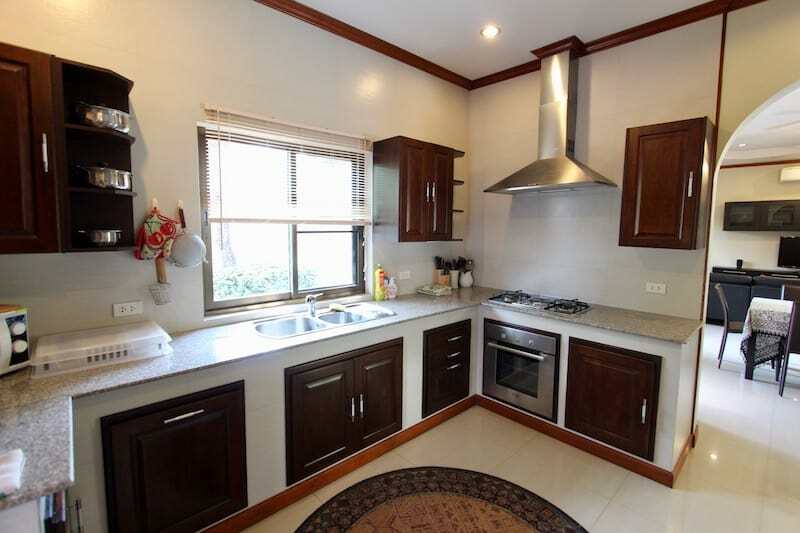 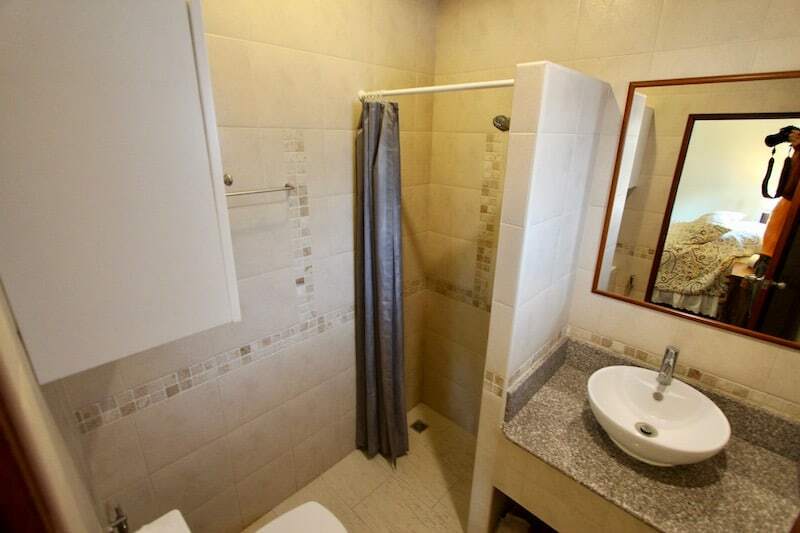 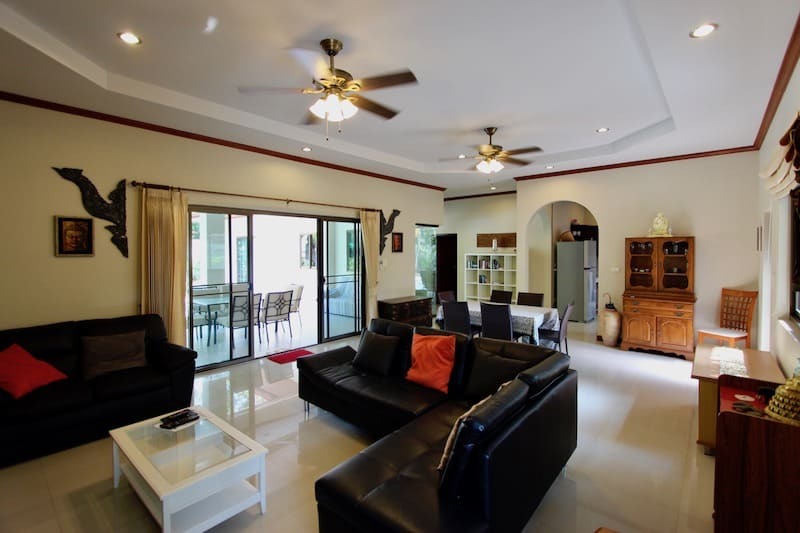 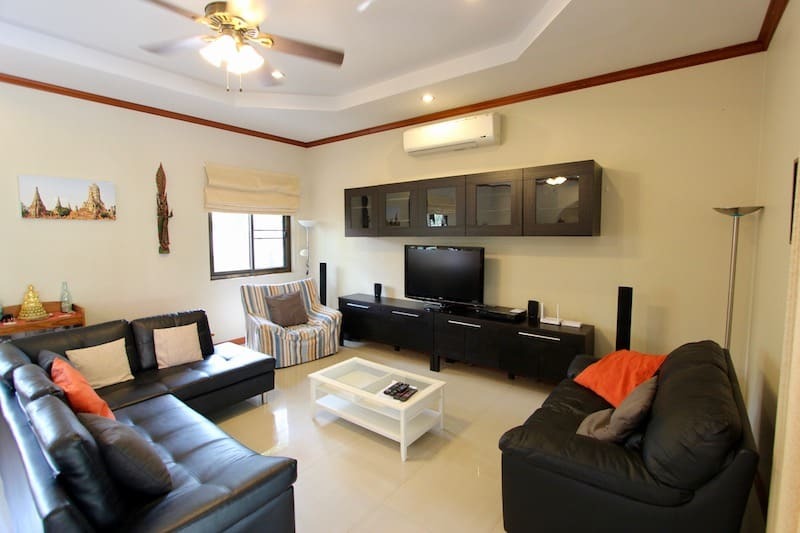 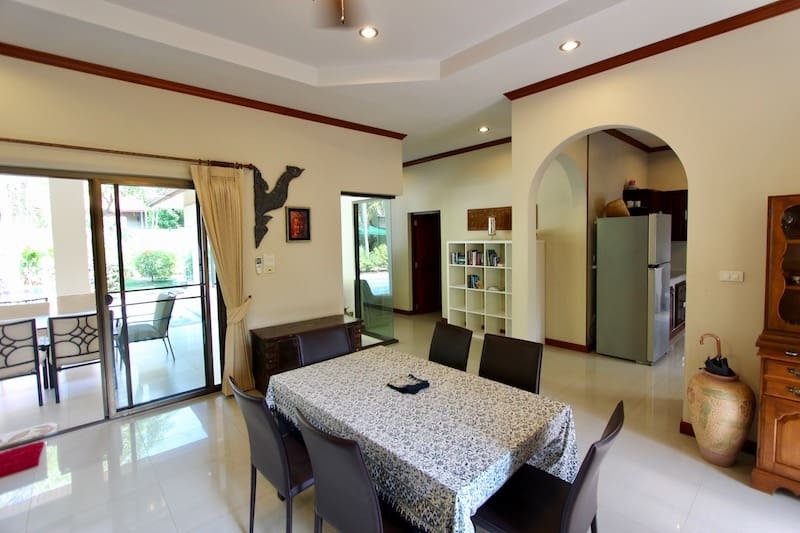 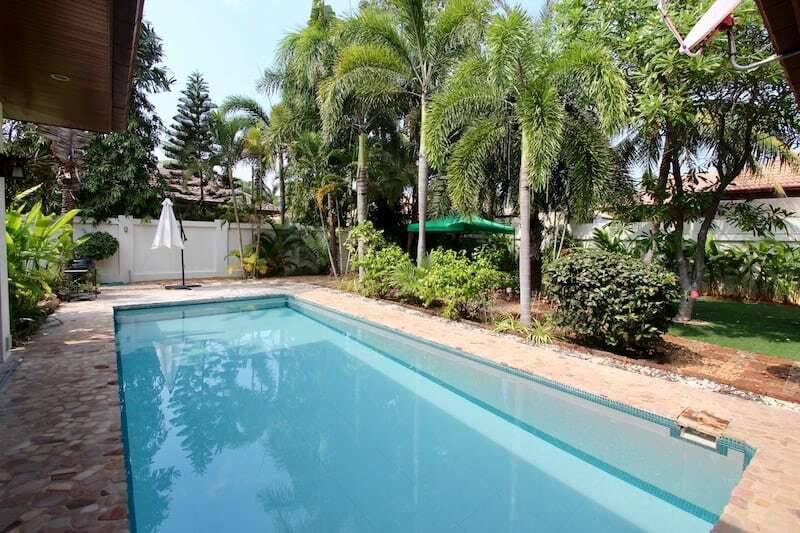 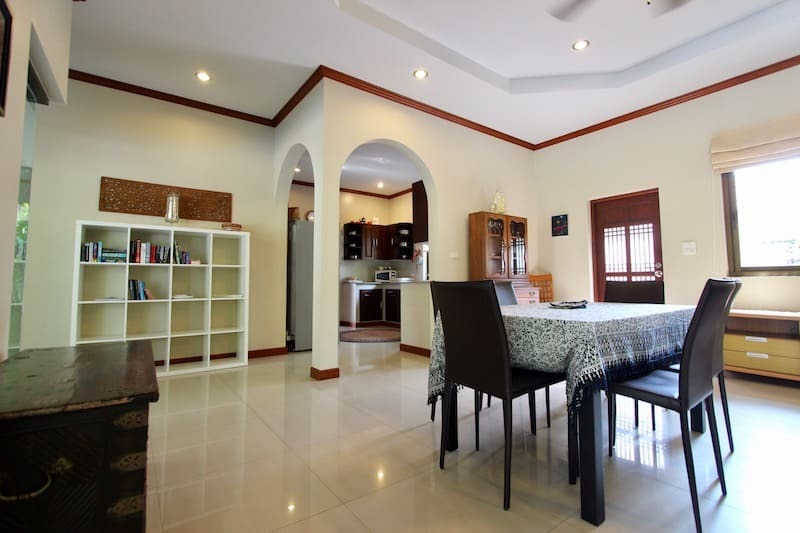 3 bedroom Hana Village house for rent. 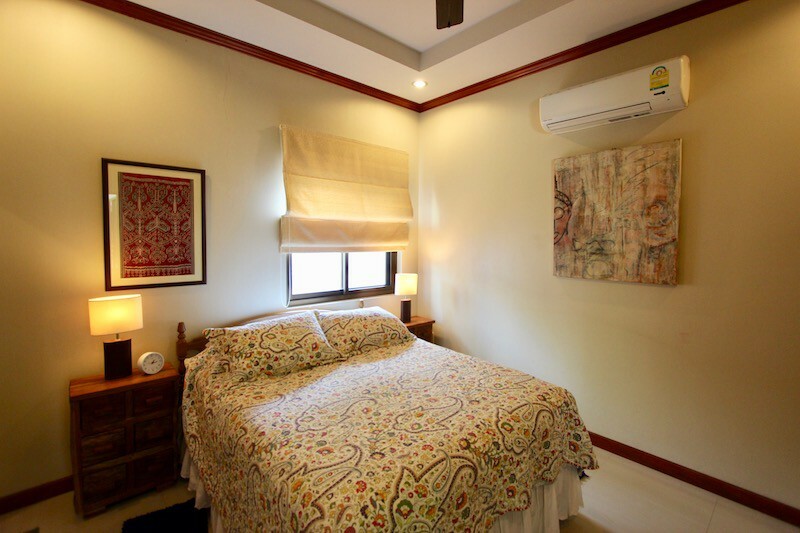 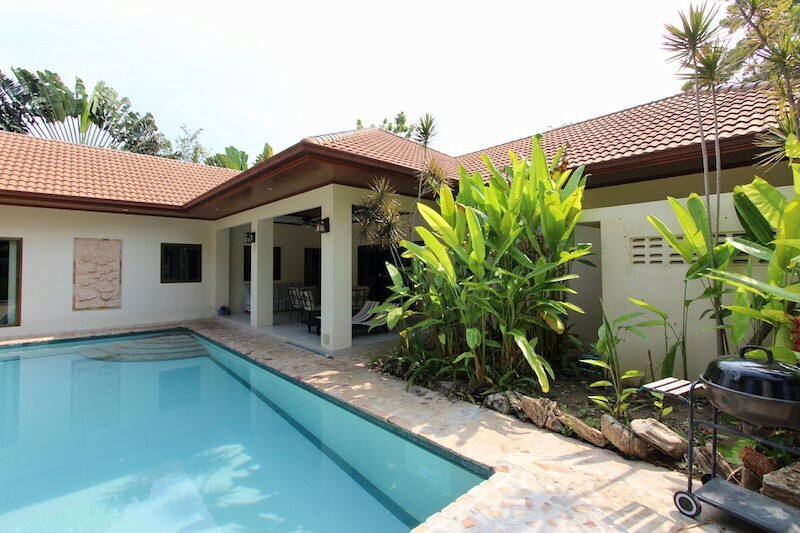 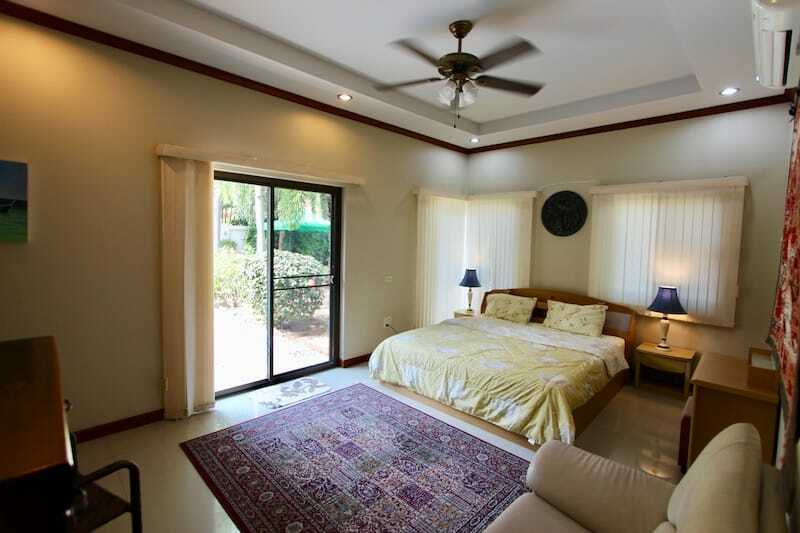 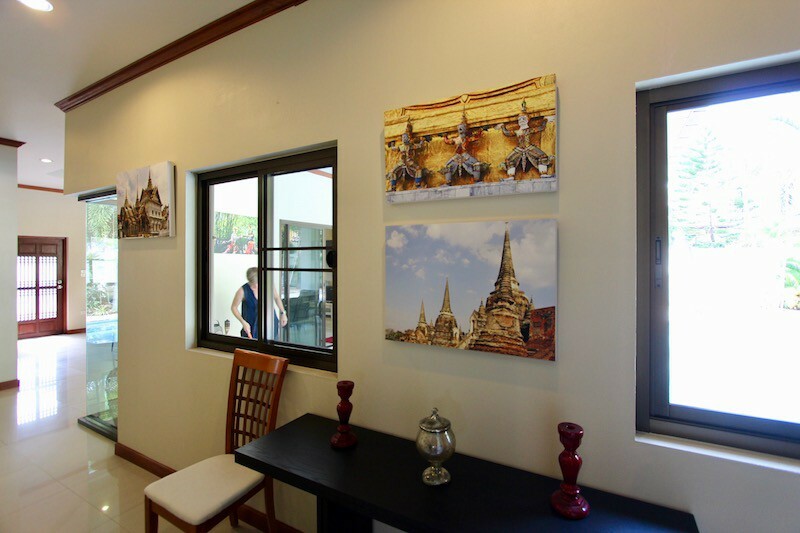 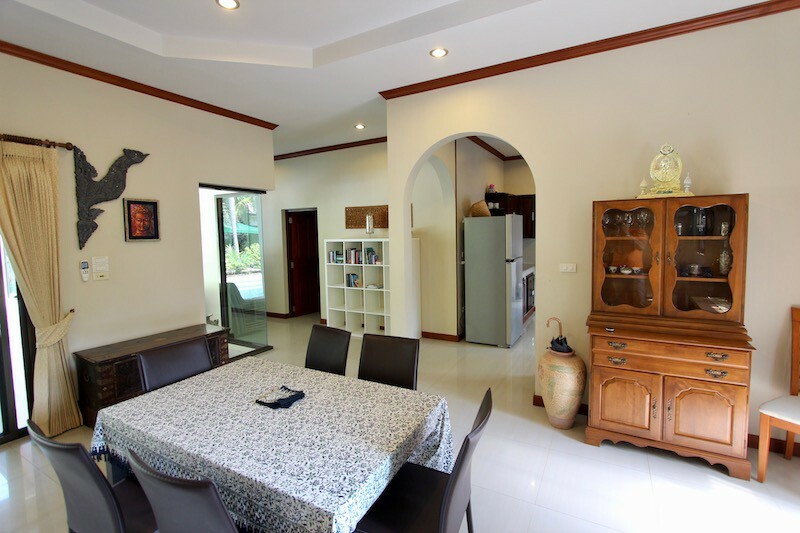 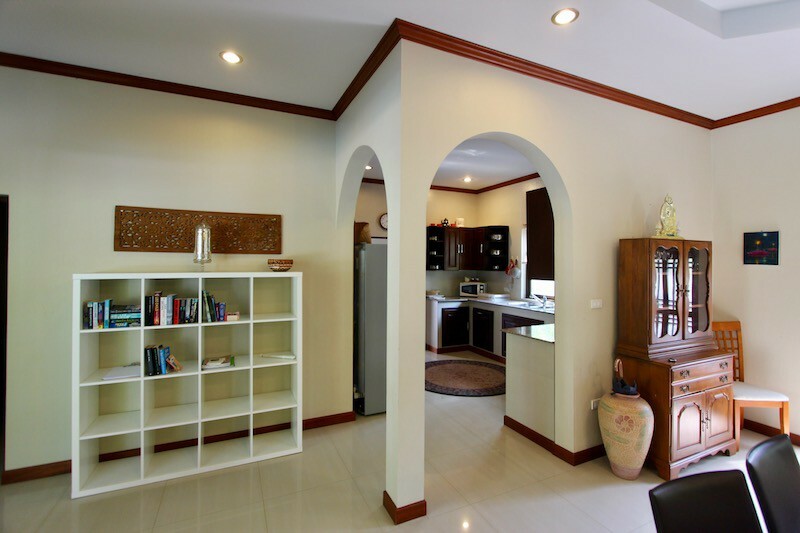 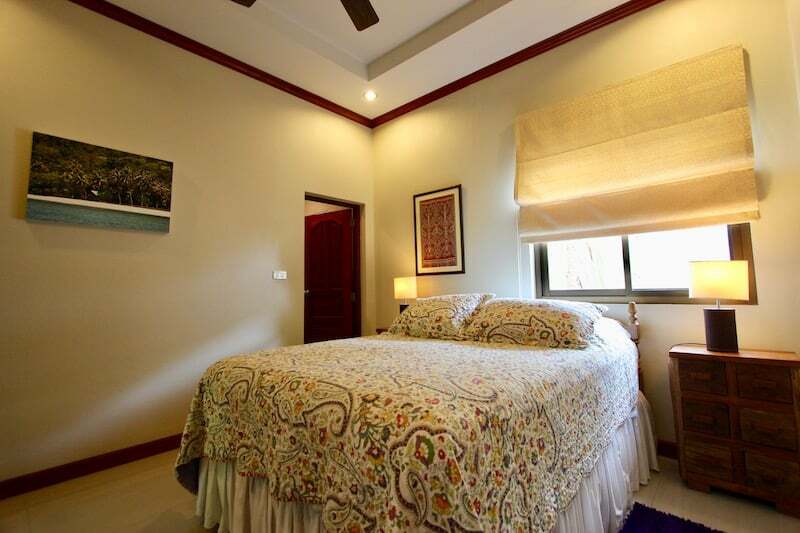 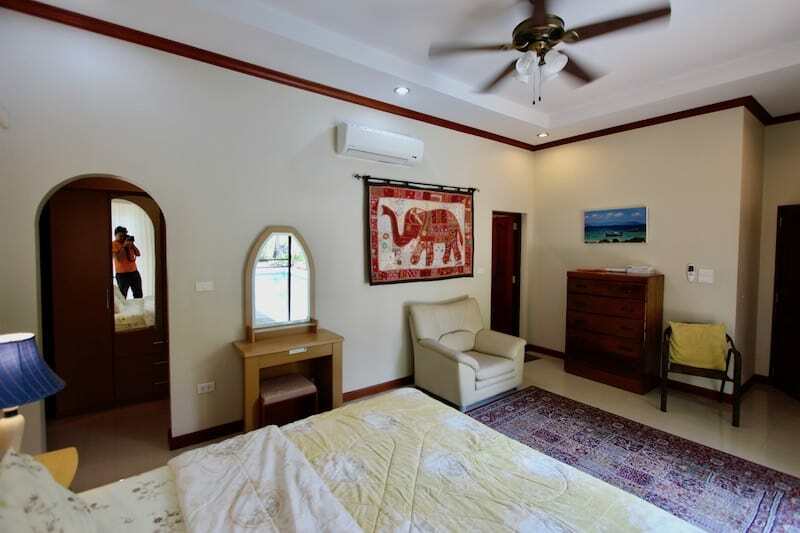 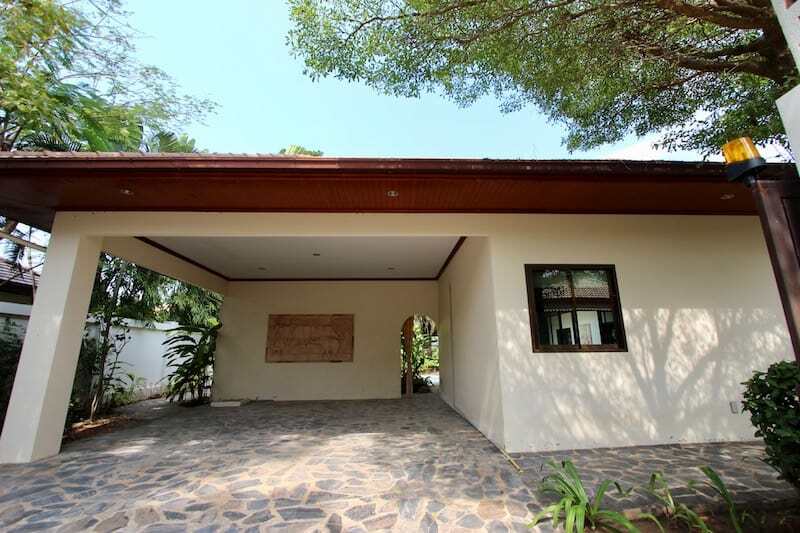 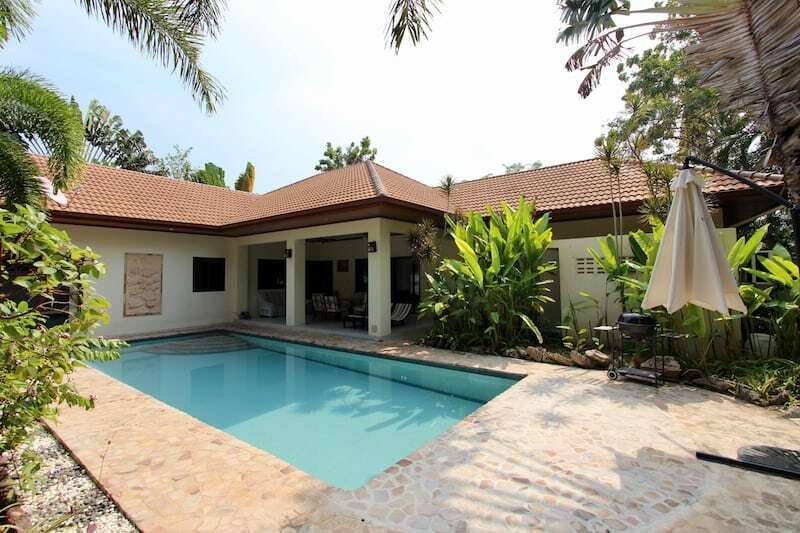 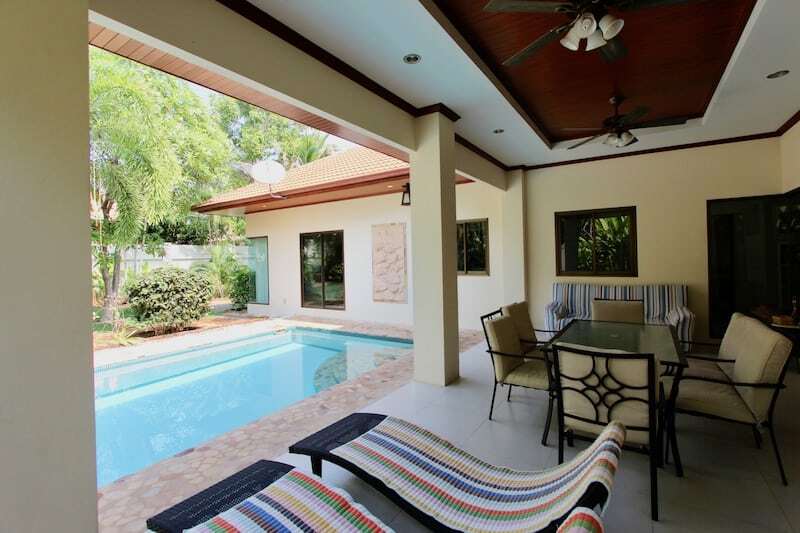 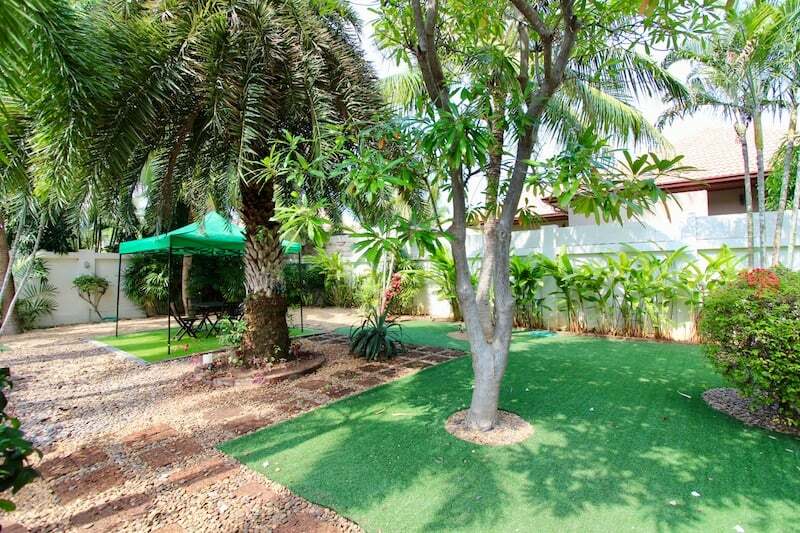 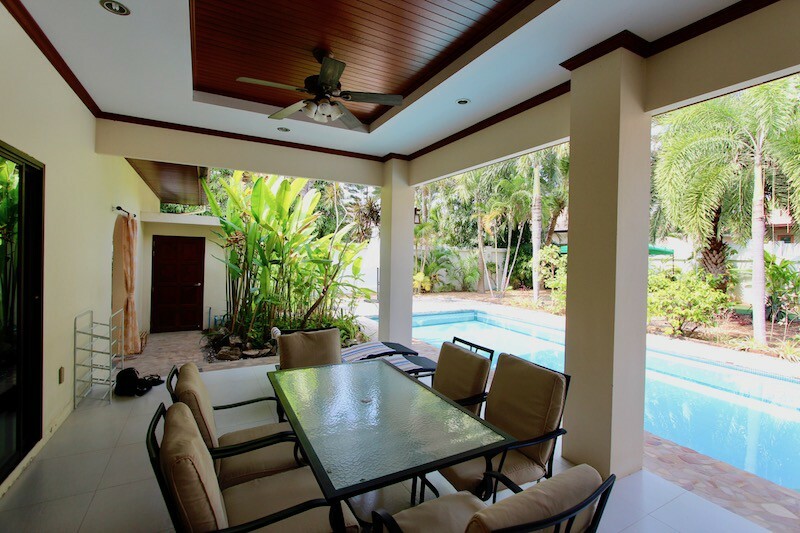 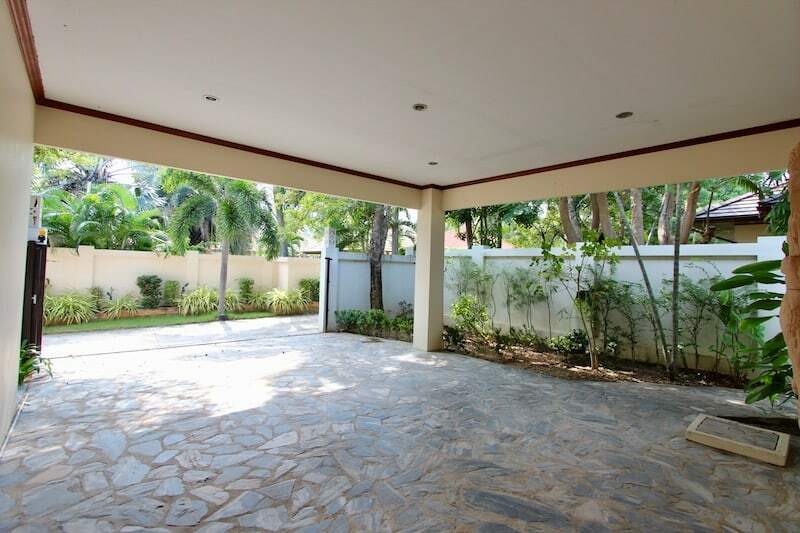 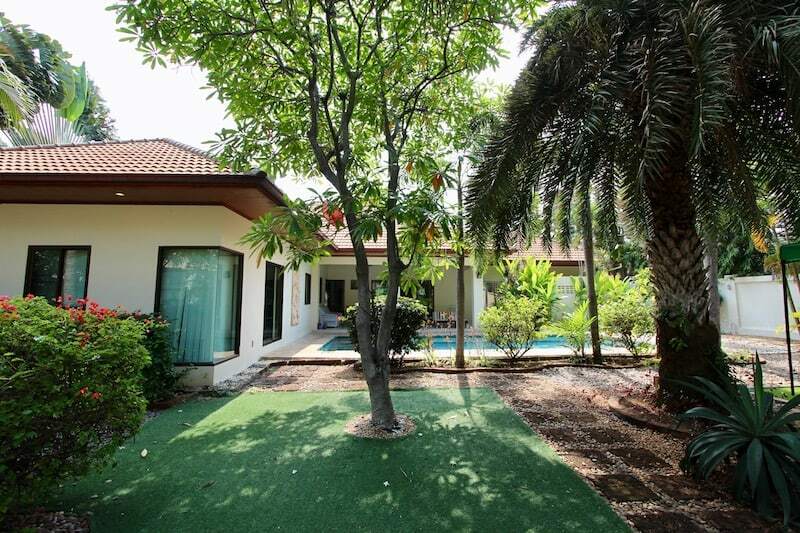 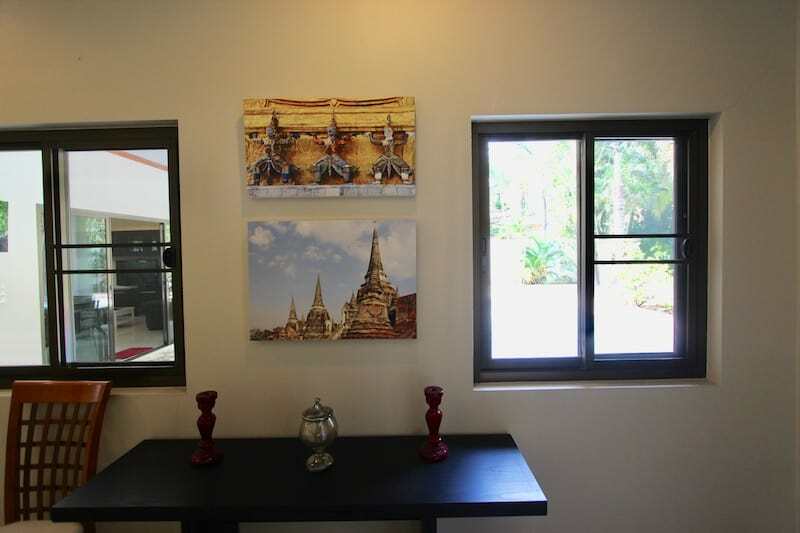 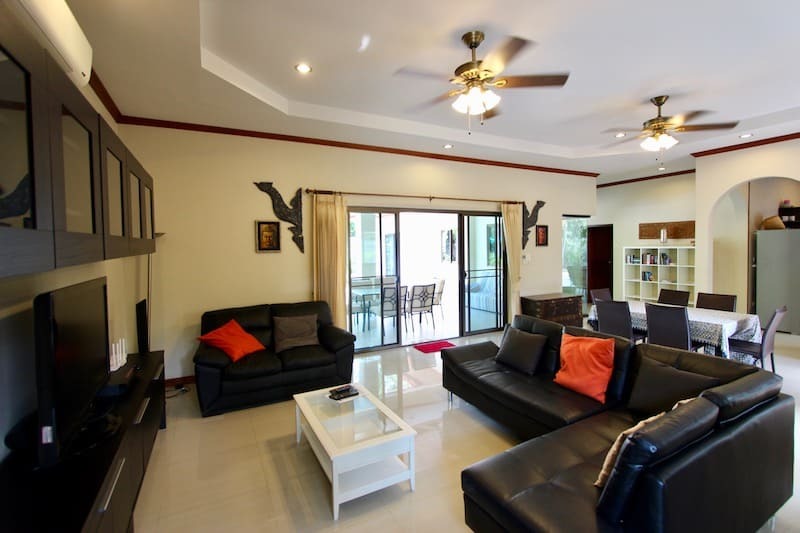 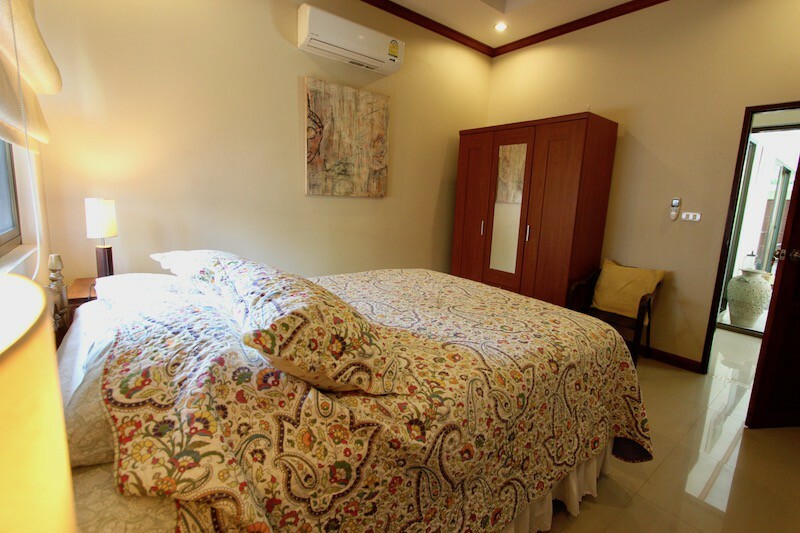 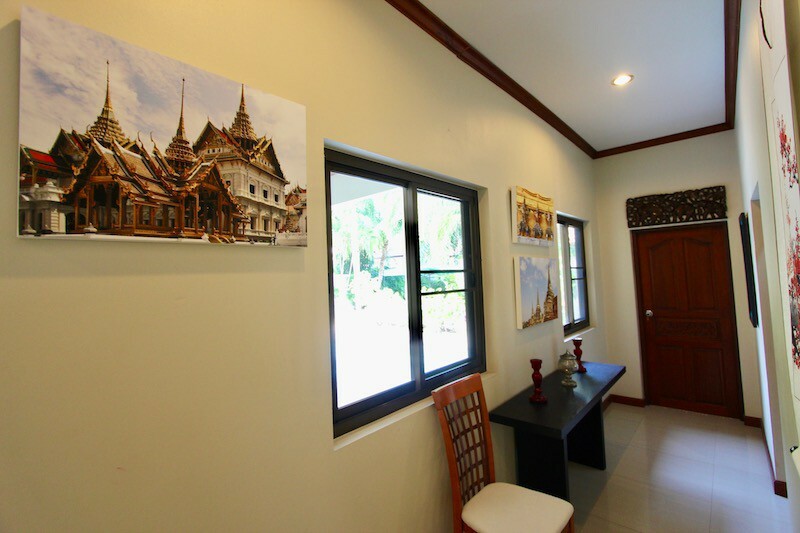 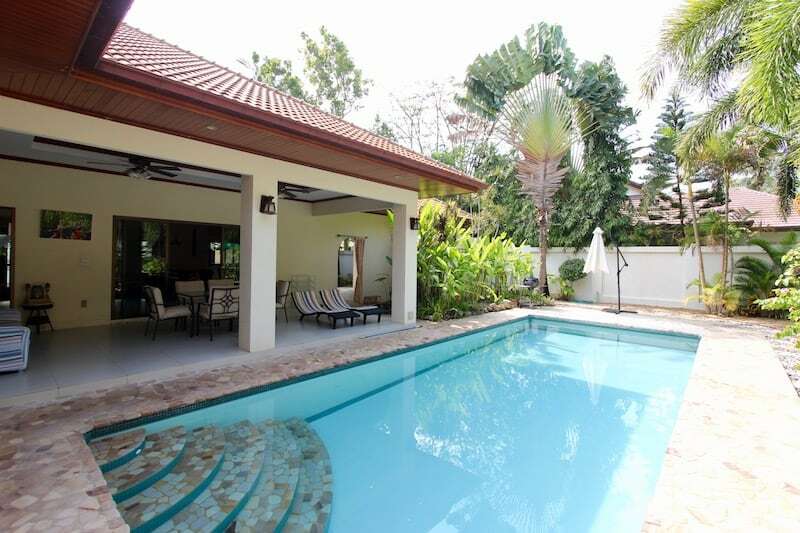 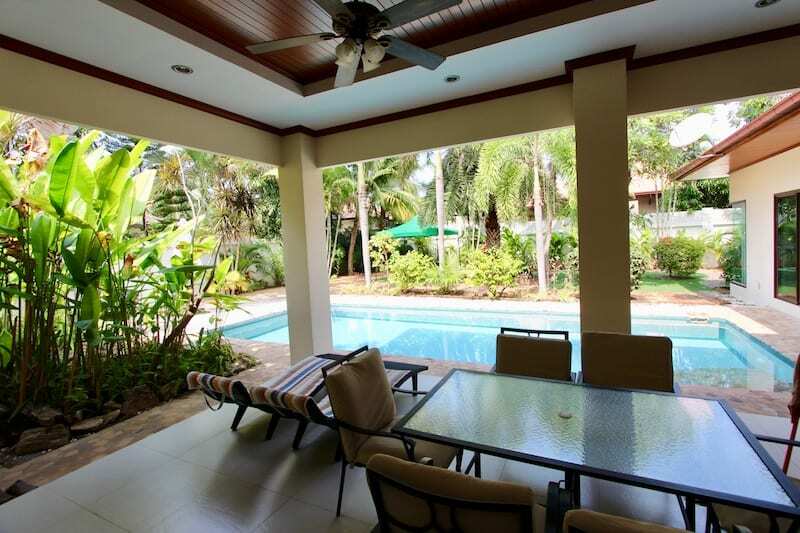 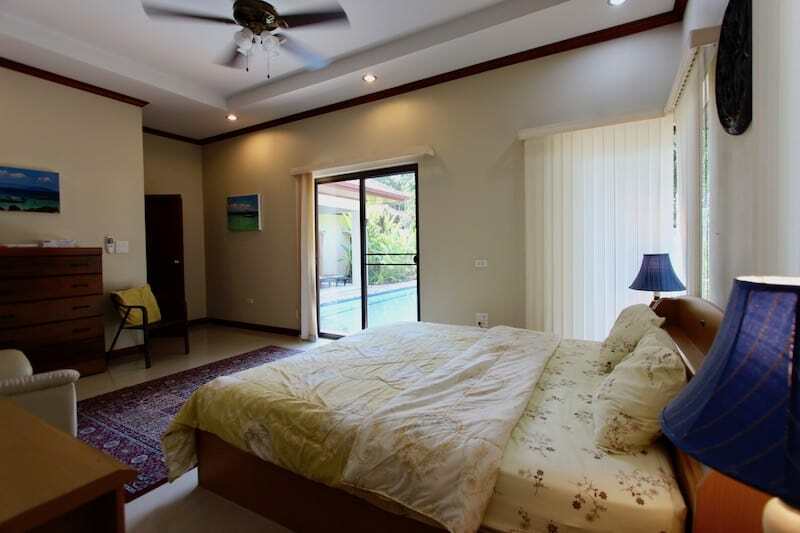 Charming home for rent in Kao Kalok, near the beautiful Kao Kalok beach. 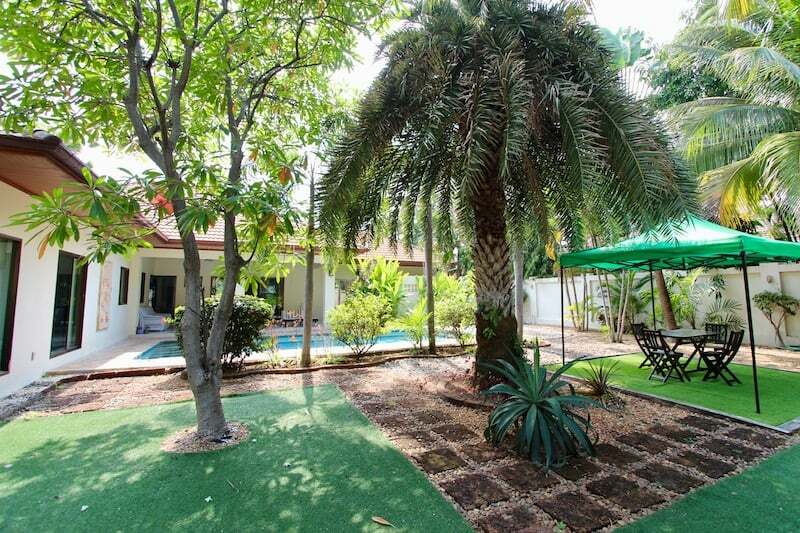 This home is located within a high quality, completed development of similar style and quality homes with a great community and friendly neighbors. 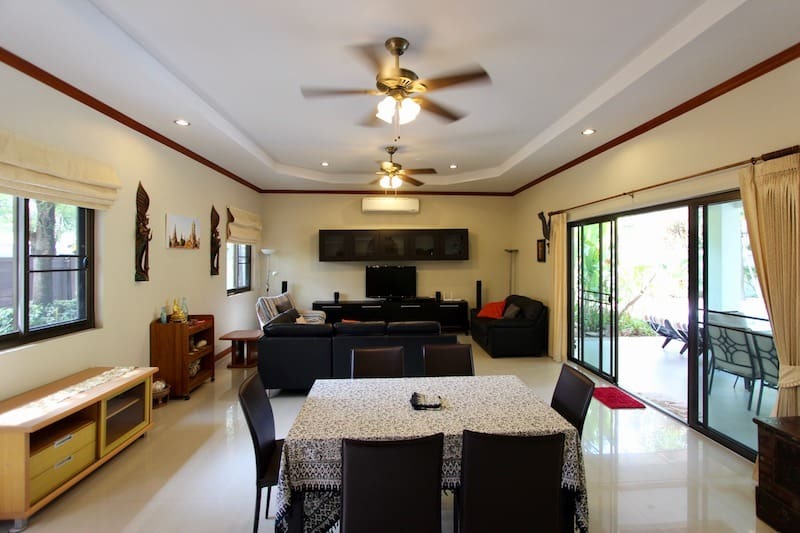 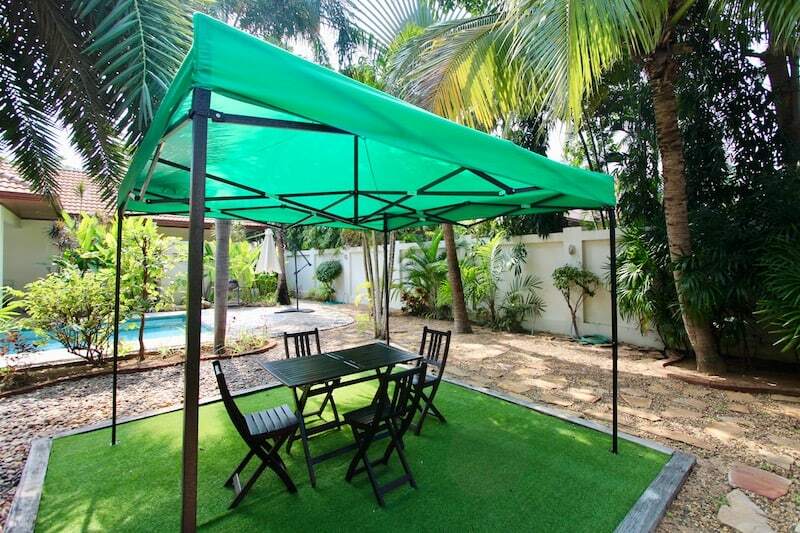 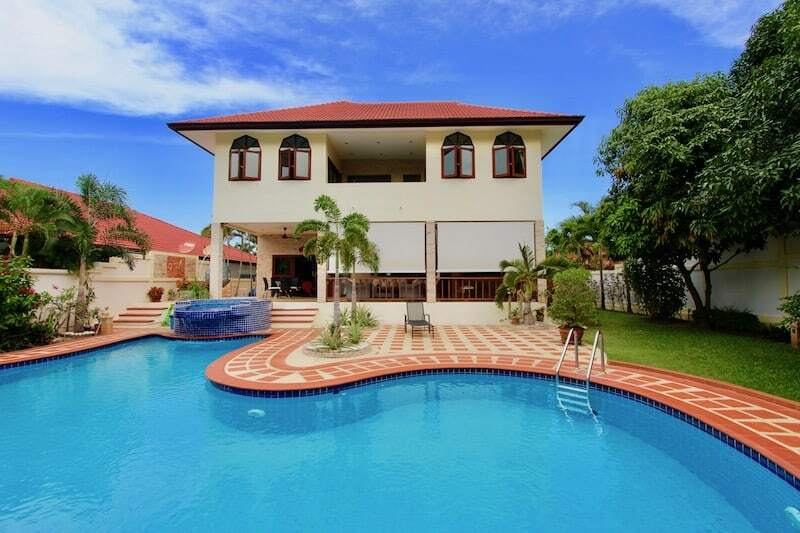 This is a great home for someone who wants to live in a nice community with children, nice neighbors and close proximity to the beach. 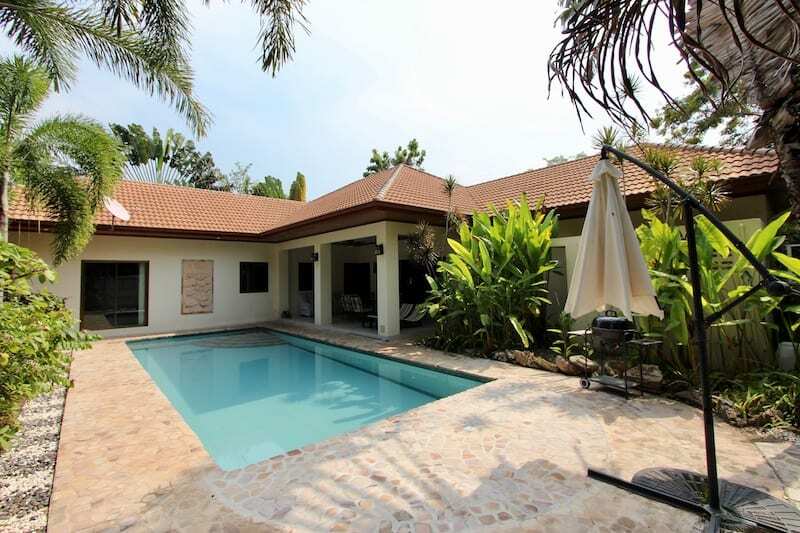 The house itself sits on a large plot of 800 square meters with a lovely, low maintenance garden and private swimming pool with its own waterfall feature! 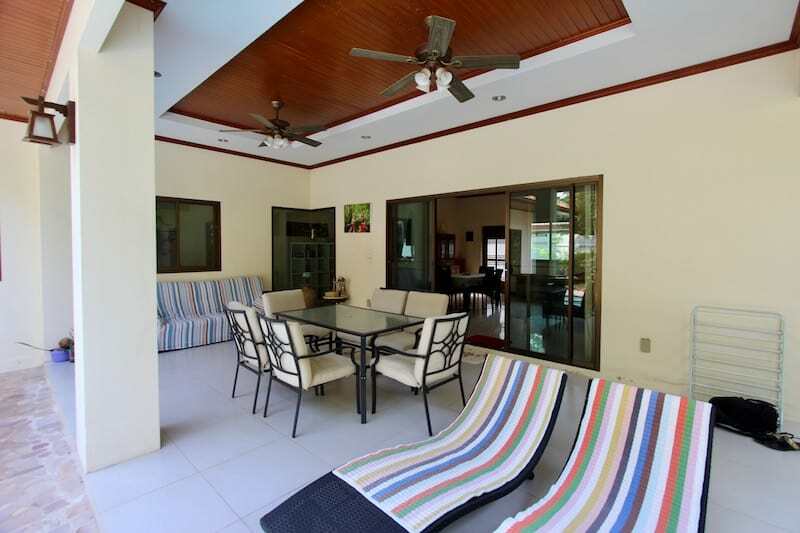 The spacious covered terrace overlooks the pool and gardens, and is a perfect place to relax and enjoy the outdoor lifestyle at any time of day. 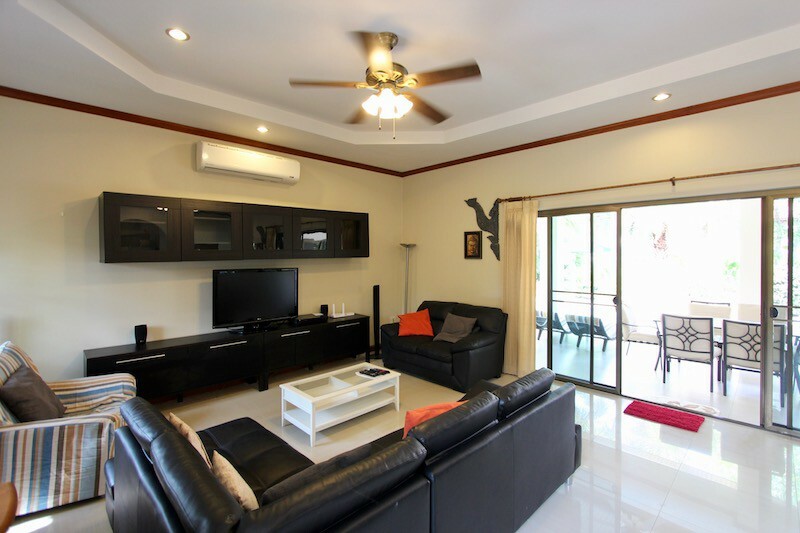 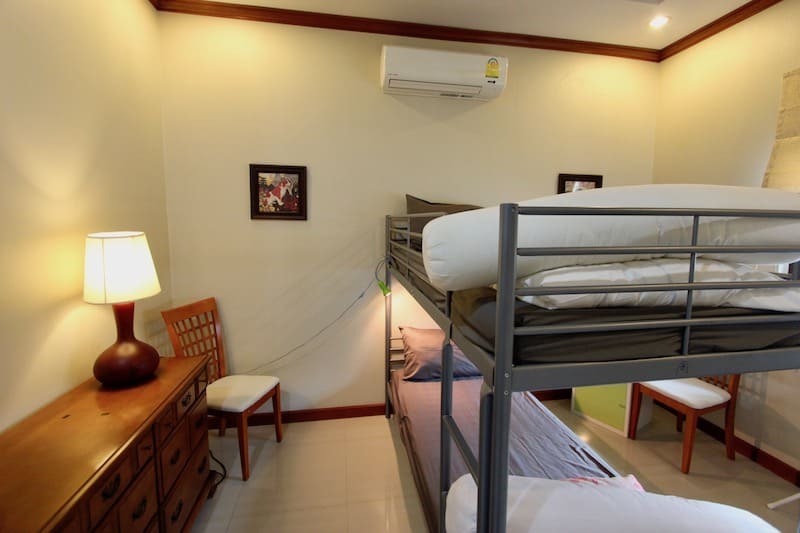 The terrace is positioned so that there is never any direct sunlight and there are 2 ceiling fans, so it’s comfortable to stay outside in the morning, afternoon and evening. 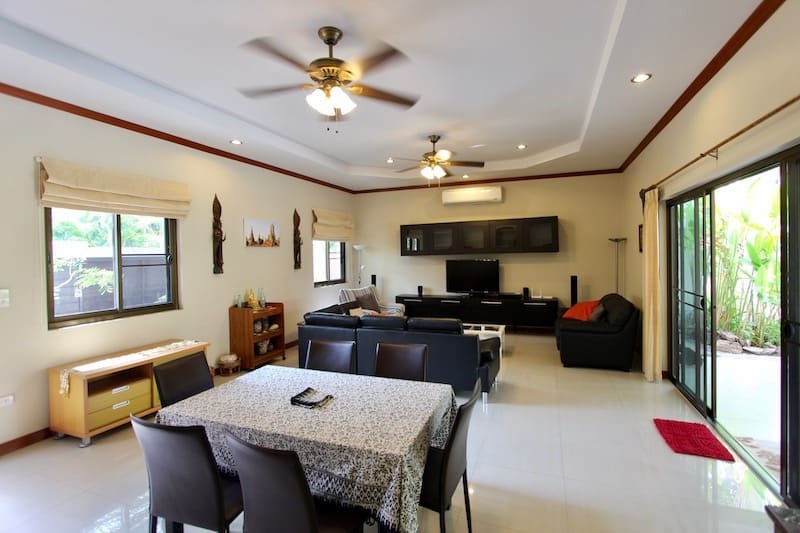 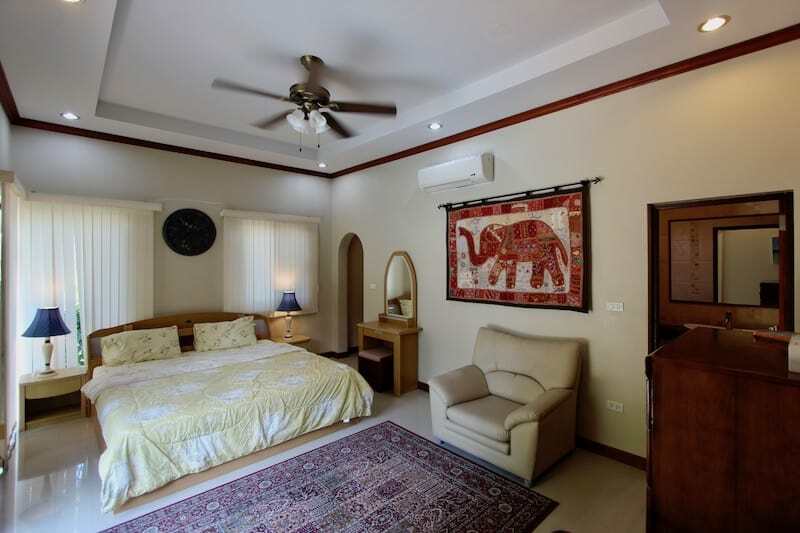 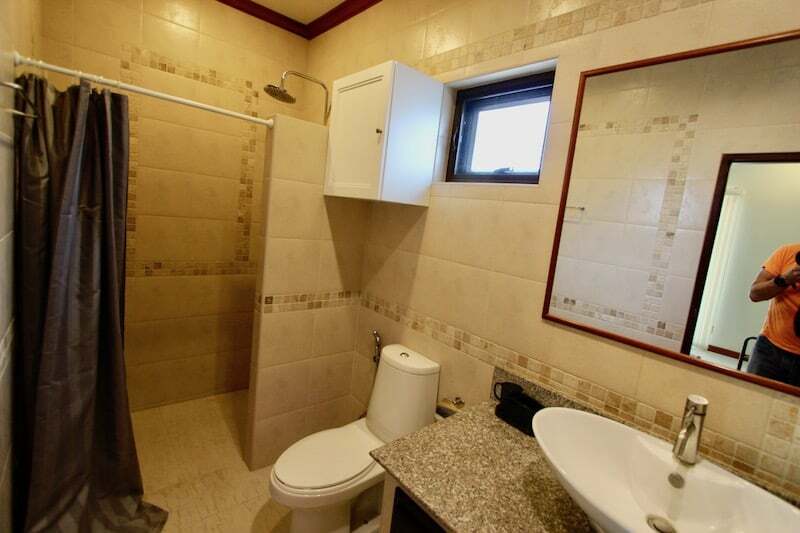 The layout of the house consists of a large living room and dining area; a separate kitchen, fully equipped with all necessary equipment for the avid cook and baker (including a gas and electric stove, oven, microwave, and many utensils and small equipment); a utility room with central water heater and brand new washing machine; and 3 large bedrooms, all with en suite bathrooms, wardrobes, and full furniture.